As a kid some of the best memories i have is my dad and me squirrel hunting. Curious how many still chase treerats?My son loves going and provides lots of action/shooting….Plus its not bad eatin…. You know I do, still time to go get a few. I just realized last week that tree rat season goes till mid feb. Now that pretty much everything else is over, its a good time to grab the rifle and go out. Plus look for sheds the same time. Tree rats, sheds and coyotes. That’s exactly what I’m doing this weekend. Just bought a new Henry lever action .22 a few weeks ago. What a fun gun to shoot…and deadly accurate. 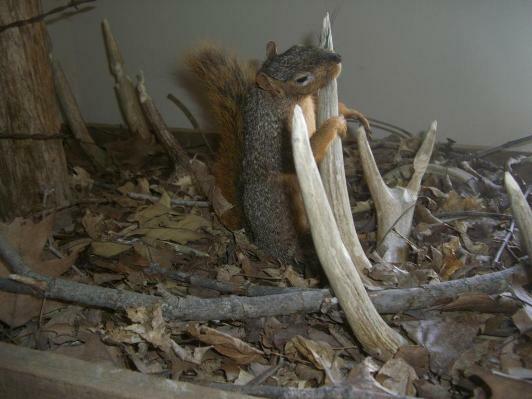 Hmm, Using squirrels to find sheds. I think we are on to something. Now to catch some squirrels and train them to retrieve. Great. 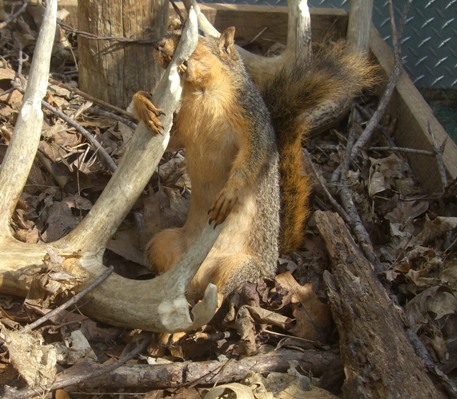 Now there’s gonna be a separate season for shed hunting with squirrels with all kinds of new regs and fees and we’ll have to keep our squirrels on leashes at all times. I wonder if I can hunt with squirrels year round on our state licensed “dog training property”. Just have to have tags to put on the sheds after harvest. I would imagine that the red would be able to retrieve larger sheds. Kole and I hunt them. At this time of year, we use the family Yorkie to tree them and then he pops them w a .410. Only problem is that the yorkie is white and it doesnt sit well w the wife when he goes to retrieve a wounded squirrel and they start wrestling. The first time, Kyle ended up covered in squirrel blood. He has bagged 11 reds this way.